The Town of Silver City is accepting application for the position of Library Clerk. Responsibilities include: performing a wide variety of general library work in technical and/or public services, under the direction of the Public Services Manager/Assistant Library Director; supporting the daily operational needs of the library by performing responsible and varied tasks related to circulation, inter-library loan, materials processing, shelf maintenance, and programming; assisting patrons with finding information and using information technology, library services and facilities. Requirements include: NM Class D driver’s license; high school diploma or equivalent; six months customer service and/or clerical experience, or any relevant combination of education, experience and training; experience in a public library preferred. 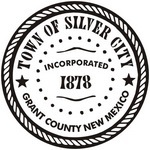 Application with copies of NM Class D driver’s license and high school diploma or equivalent must be submitted by July 24, 2015, to the Town of Silver City, Personnel Office, 101 W. Broadway, Silver City, NM 88061 or mailed to PO Box 1188, Silver City, NM 88061 A complete copy of the position description, application, and hiring policy are available at City Hall or www.townofsilvercity.org. Performs a wide variety of general library work in technical and/or public services, under the direction of the Public Services Manager/Assistant Library Director; supports the daily operational needs of the library by performing responsible and varied tasks related to circulation, inter-library loan, materials processing, shelf maintenance, and programming. Assists patrons with finding information and using information technology, library services and facilities. To work independently and as a team; excellent customer service skills, ability to learn Dewey Decimal System, and automated circulation system, and library circulation policies and procedures; computer and typing skills including working knowledge of Windows, Microsoft Office, Internet Searching, e-mail, social media, media storage devices and library automation systems; strong oral and written communication skills; flexibility to adapt to a changing environment. Ability to work standing, reaching and bending for up to two hours; ability to lift 50 pounds; ability to pass drug and alcohol tests. Works at the Circulation Desk, checking books in and out, registering new users, handling cash, and updating the patron database. Shelves library materials using the Dewey Decimal System, checks shelves for proper order and shifts and straightens materials. Works at the Information Desk, assists public with computers and portable electronic devices, finding library materials for patrons, and answering questions using print and computer resources. Assists with library programs and displays. Performs off-desk duties such as maintaining the magazine collection, preparing books for circulation, reserves, and preparing over-dues and processing inter-library loan items. May perform routine updating/maintenance on computers and may setup computers, digital projectors and other equipment for programs. Performs other related duties as assigned. Works Saturdays, and at least one evening shift. WORKING CONDITIONS: Library environment; may be required to work more than eight hours per day or 40 hours per week.